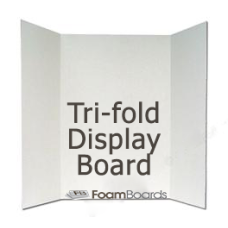 A Table Top Tri-fold Display Board with a single 740 x 860mm Centre panel and 370 x 860mm SIDE panels that fold in to enable free standing. 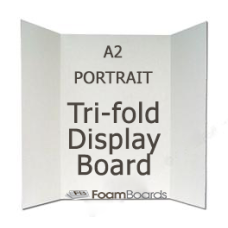 The Header section is 740mm x 120mm and can be overprinted with company logo or graphics of your choice. Choose either full colour printed or Blank. Upload your images and add to cart. Ideal for trade shows and other displays where a professional image is required without the expense of going to the metal case table top displays. 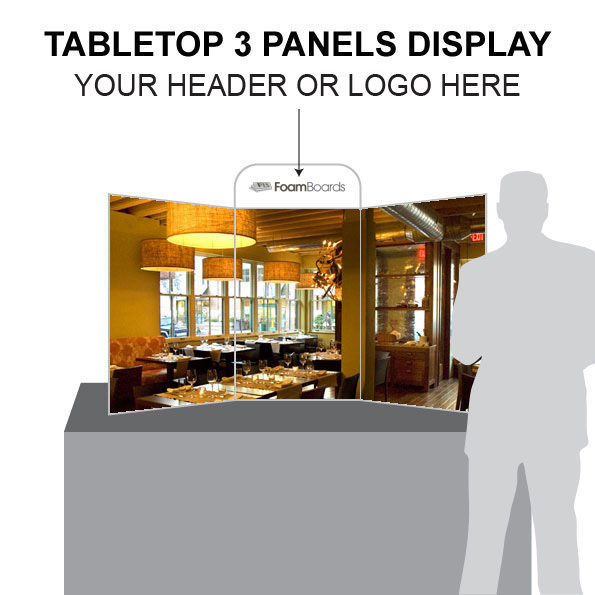 You can utilise this exhibit as a permanent fixture in a shop, showroom, lobby, customer display or classroom? 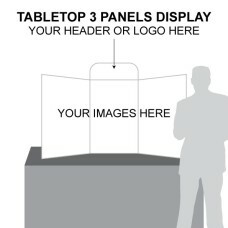 Most of these portable display units are suitable to be used to display important information for an event or trade show. They are particularly useful for organising seating displays so guest can see where they are seated.